With a print run of 2.6 million copies, the weekly «Coopzeitung» is the most read newspaper in Switzerland. The free newspaper, which is printed in three languages, reaches nearly half of the Swiss population. «Panorama» spoke with Patrick Wehrli, the publisher of «Coopzeitung», about this unique success model. Due to the unchecked growth of its leaflet business, Prospekt Versand Service GmbH (P.V.S.) is putting its fifth FlexLiner into operation. Starting in March, its facility in the Hungarian city of Sopron will have no fewer than eleven Muller Martini inserting systems in operation. Nahdet Misr in Cairo is the first publishing house in Egypt to invest in a Muller Martini KM 610.A perfect binder under the Kolbus brand featuring 32 clamps for excellent two-shot technology to ensure its continuing success – the company enjoys annual growth of over 20 percent. With a Pantera from Muller Martini, PieReg Druckcenter Berlin GmbH has brought its entire softcover value chain in-house. Thanks to the in-house production, the logistics process is now much easier, which has had a positive effect on the bottom line. Two high-performance Primera MC saddle stitchers from Muller Martini have helped Austria’s Sandler print&packaging regain the necessary production balance. In order to strengthen their finishing abilities Kailow Graphic A/S in Rødovre near Copenhagen have invested in a new Müller Martini saddle stitching line Primera MC. This is the first Primera MC in Denmark. With a max. production speed of 14,000 cycles pr. hour, its innovative Motion Control technology and extremely short change-over times the Primera MC is perfect for small, medium-sized and larger circulations. Spain’s Gómez Aparicio Grupo Gráfico has been able to produce softcover products much faster since the installation of an Alegro perfect binder, allowing it to better meet its customers’ quality requirements. Thanks to the FlexLiner inserting system, Germany’s well-established Fr. Ant. Niedermayr now carries out inserting in-house, which has given it planning and financial flexibility. After putting a Pantera perfect binder into operation, German media company Plump expanded its softcover segment into a complete line and increased both its volume and quality. Muller Martini struck a chord with the newspaper industry with its “Finishing 4.0: Advanced Inserting, Zoning and Workflow Optimization” theme at the three-day IFRA World Publishing Expo & Digital Content Expo in Berlin. Following the installation of a Muller Martini Vareo perfect binder at the beginning of this year, Tandym Print, located in Cape Town, South Africa, has seen a noticeable increase in digital print orders. With the investment in several new machines, including three Muller Martini print finishing systems, state-owned Malindi, which is located in the nation’s capital Dar-es-Salaam, is Tanzania’s most modern graphic arts company. Thanks to its healthy order situation, J. Thomson Colour Printers Ltd. in the Scottish city of Glasgow has again opted for solutions provided by its long-standing partner Muller Martini and is set to commission two new print finishing systems in November. As a prelude to the IFRA in Berlin next month, Muller Martini invited customers to an open house at the Oppermann printing center in the northern German city of Rodenberg (Lower Saxony). Precision Colour Printing (PCP) Ltd. in the English town of Telford has invested in a Muller Martini Primera MC to provide capacity for its healthy job volumes in the saddle stitching segment. Muller Martini's stand at the IGAS in Tokyo, Japan's biggest graphic arts trade fair, inspired numerous Japanese and many other visitors from the Asia-Pacific region. With the Tempo 220 saddle stitcher and the Integro inserting system, Oberdorfer Druckerei, located near Salzburg, has brought its industrial print finishing capabilities up to date. “Print lends itself better than digital media to developing the brain by building deep structures in it,” says Dr. Hans-Georg Häusel. “Panorama” met the German psychologist and neuromarketing pioneer, who is convinced that books are better for learning. The FlexLiner offers numerous advantages to the well-established company Fr. Ant. 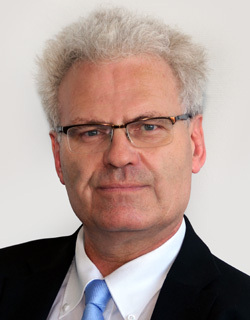 Niedermayr. The Muller Martini inserting solution, which is also used for inserts in inserts, completes its production line, provides flexibility, and cuts costs. At Printech in Moscow, Muller Martini showcased exciting machine solutions, including for the digital market, at its extremely well-attended booth. Thanks to its Pantera perfect binder, German printing and media service provider BWH now produces all of its print products in-house, which has boosted its added value. Southern Germany’s Walter Digital GmbH has given digitalization the green light. The Vareo perfect binder is supporting the company on its growth course. Short run specialist Printondemand made a convincing presentation at its open house event in the English city of Peterborough, with its highly automated production and seamless changeovers for runs of one. Bei Printondemand-Worldwide.com sorgen der Klebebinder Vareo und der Dreischneider InfiniTrim für eine perfekte Touchless-Workflow-Umgebung. Dafür überreichte Müller Martini den englischen Shortrun-Spezialisten den Finishing 4.0-Award. PieReg Druckcenter Berlin GmbH, located in Germany’s capital city, can now cover its entire softcover value chain in-house with a Pantera from Muller Martini, the first perfect binder in the company’s history. Xerox GmbH in Norderstedt near Hamburg produces its numerous ultra-short runs using two Vareo/InfiniTrim inline duos. Muller Martini has honored the German book-on-demand pioneer with the Finishing 4.0 Award for its highly automated production. Heftromane und Rätselmagazine erfreuen sich allen Unkenrufen zum Trotz ungebrochener Popularität. Deutschlands Nummer 1 in diesem Segment ist Bastei Lübbe. «Panorama» entlockte Oliver Leimann, Verlagsleiter Romane und Rätsel beim Kölner Traditionsverlag, das Erfolgsgeheimnis dieser erfolgreichen Printprodukte. Erfolgreicher Auftritt von Müller Martini auf der ExpoPrint in São Paulo: Während der fünftägigen Ausstellung besuchten 700 Fachleute aus Brasilien und mehreren Nachbarländern wie Argentinien, Paraguay und Peru den Stand von Müller Martini. Assisted by the expertise of MMServices, Schär Druckverarbeitung AG has improved its workflow production and ensured the family business has a promising future by relocating to a new site. By investing in a complete SigmaLine with SigmaControl, Connex Line Control Pro, a SigmaFolder II and a SigmaCollator, Log & Print Gráfica Dados Variáveis e Logística SA in the Brazilian municipality of Barueri will secure its position on the fiercely competitive (digital) book market. By relocating to a production hall that is less than half the size of its previous one, the Wailandt’sche Druckerei printing plant has made its production more compact, more efficient and more environmentally friendly. Some 70 bookbinders from across Germany took up the invitation of Muller Martini and Großbuchbinderei Schiffmann GmbH & Co. KG to experience the numerous advantages of the Alegro perfect binder for themselves at the Schiffmann bookbindery’s site in Rösrath near Cologne. The customer is king at CEWE, which handles unique orders. Expanded machine range following the acquisition of the Kolbus bookbinding business. Muller Martini has taken over the Kolbus perfect binder and bookline business. Muller Martini takes over the perfect binding and bookline business from Kolbus. Kolbus sets the focus on the packaging and case making business, parts manufacturing and the foundry business. For a year now, the Dar Al-Nahrain for Printing graphic arts company in the Iraqi capital of Baghdad has been using five Muller Martini systems, enabling it to significantly increase its print finishing efficiency. The majority of the jobs at CEWE are runs of one copy. Thanks to the flexibility of the Muller Martini Vareo perfect binder, the European market leader in the photo service segment can ensure high production quality. In the e-commerce segment, unboxing is most likely the touchpoint on the customer journey that sparks the most emotional engagement. The e-commerce company Onlineprinters, which is also known in Germany as diedruckerei.de, started out as a conventional printshop and specializes in the printing of standard print products. A bold investment in a Pantera perfect binder is paving the way for the Swiss bookbindery called Schweizer Buchbinderei to act as a softcover partner to big-name printing plants. A new Primera MC saddle stitcher is enhancing the much faster workflow at Strands Grafiska in the Swedish municipality of Lindesberg. The newspaper producer Pannon Lapok Társasága (PLT) as a part of Mediaworks Group located in the Hungarian town of Veszprem is investing in two Muller Martini FlexLiner inserting systems to handle its increasing insert volume. LR Medienverlag und Druckerei GmbH in the city of Cottbus in eastern Germany has invested in the FlexLiner inserting system to cut costs and become more flexible. “Efficient processing of inserts” – with this subject, Muller Martini struck a chord with the newspaper producers at the IFRA World Publishing Expo in Berlin. The stand was well-attended on all three days of the fair, and the numerous customers took the opportunity to discuss the current market challenges and new mailroom projects with the Muller Martini experts. Thanks to the world’s first Diamant MC Digital Book of One bookline, NBD Biblion, which is based in the Dutch city of Zoetermeer, can enhance its service for libraries and tap into a new business segment. By investing in a Pantera perfect binder, Grafica Metelliana SpA in southern Italy has streamlined its softcover work processes and positioned itself for further growth. Open house at Frey Plus: lower costs and healthy sleep thanks to "Hilde" and "Hektor"
At the open house event at FREY PLUS in Ulm, the Frey agency and Muller Martini impressed the audience with the benefits of the MailLiner direct marketing system including FlexPack. Muller Martini, the innovative, Zofingen-based machine manufacturer, had the great honor of being presented with the 2017 Swiss Industry 4.0 Award for its Finishing 4.0 book production line for runs of one copy at the Swiss Industry 4.0 Conference at the TRAFO Culture and Congress Center in Baden. The touchless workflow solutions that were presented live at the Muller Martini booth at Print 17 in Chicago under the slogan of “Finishing 4.0” met with great interest among the many visitors. In collaboration with Muller Martini Eastern Europe GmbH, D.R.J. Tiskárna Resl held an open-house event at its production site in the Czech town of Náchod. Caxton Local Media invests in local newspapers, which has a positive impact on the printed advertising market in general and especially for the insert business. Richard van der Voorn (right), Technical Team Manager at NBD, and Enno Smid (left), Muller Martini Benelux, with the machine operators of the Diamant MC Digital. Acabamentos Gráficos in the Portuguese city of Porto is entering the digital future with a Diamant MC 35. The Muller Martini bookline has played a defining role in the career of the company founder. Printondemand, which delivers promptly worldwide in response to online orders, is making warehousing a thing of the past. Thanks to an integrated inline solution involving Muller Martini print finishing systems, Andi Smart Print Solutions in Maastricht is on track to produce increasing numbers of digital on-demand products. Muller Martini’s InfiniTrim three-knife trimmer won the award for best “Novel Manufacturing Technology” at the Innovation Excellence Awards of the Stationers’ Company, a British trade association. With 15 augmented reality features a day, the Weser-Kurier in the German city of Bremen combines printed newspaper content with multimedia effects. Muller Martini presented its Finishing 4.0 solutions to large numbers of visitors at Gulf Print & Packaging, the Middle East’s leading graphic arts trade fair. Its three VenturaConnect integrated thread sewing systems save Grafotisak time, costs and space. With Finishing 4.0, Muller Martini will demonstrate the touchless manufacture of print products in a single pass live at drupa 2016. The Mexican company Ideeo strives to take printed communication to a new level by intelligently combining a whole range of different print and digital media. The live demos of the Presto II saddle stitcher attracted large numbers of visitors to the Muller Martini booth at Expográfica in Mexico City. The 9th China Print in Beijing attracted a record number of visitors and proved a great success for Muller Martini. China Print, which opened on 9 May, has attracted large numbers of visitors. The live demos of the Vareo perfect binder and the Primera MC saddle stitcher at the Muller Martini booth have proven a hit. At China Print in Beijing from May 9 to 13, Muller Martini will demonstrate live production runs at the Vareo perfect binder and the Primera MC saddle stitcher in Hall E1-002. In addition, visitors to the trade fair will have the chance to see additional Muller Martini systems at customer sites nearby. Imprimerie Centrale in Luxembourg was unwilling to part with its Prima Amrys even after it had been in operation for 15 years. It is now using the reconditioned saddle stitcher with a new operating panel. Two further ProLiner newspaper inserting systems are set to replace three 25-year-old Biliners – Funke Druck GmbH is responding to its continuing growth in inserts by modernizing the mailroom at its printing center in the city of Erfurt in the German state of Thuringia. Despite decreasing circulation sizes, Egmont Ehapa, which specializes in children’s magazines has managed to increase its turnover by 50 percent in the past 15 years. Interview with Publishing Director Jörg Risken. Muller Martini demonstrated exciting productions with variable products on its Vareo perfect binder at the Xfair in Vienna. The machine convinced with its versatility, resulting in the Vareo being sold to Romania already on the first day of the fair. Pollina in the town of Luçon in western France had already had positive experiences with Muller Martini solutions in the perfect binding segment. The company’s first Diamant MC 60 bookline is an equally “well-rounded” solution in the hardcover segment. Gieselmann Druck und Medienhaus GmbH & Co. KG in Bielefeld (Germany): A new hall, a new printing press and a new saddle stitcher Primera MC. H. Heenemann in Berlin is increasingly producing jobs digitally and in shorter runs. Formset-ABC Printers in Cape Town (South Africa) is the first graphic arts company in Africa to invest in a Muller Martini Vareo perfect binder, enabling it to enter a new market segment – digital book production. Muller Martini’s booth proved highly popular during the four days of the Hunkeler Innovationdays trade fair in Lucerne. We’ll Corporation in Ishikawa is getting a Finishing 4.0 solution. The Japanese company is entering a new market segment – the production of teaching materials – with the aid of a Muller Martini print finishing system consisting of a 42-inch SigmaLine with a SigmaFolder II, a SigmaCollator and SigmaControl and an Alegro Digital perfect binder with a Solit three-knife trimmer. At Hunkeler Innovationdays in Lucerne from 20 to 23 February, the two global market leaders Muller Martini and Hunkeler will present a world premiere that epitomizes Finishing 4.0. In addition to Muller Martini's Vareo perfect binding line, Hunkeler’s roll-to-stack line will be shown connected for the first time to Muller Martini’s Connex data and process management system as part of a combined production line for softcover books. At the Hunkeler Innovationdays from February 20 to 23 in Lucerne, Muller Martini will showcase its Finishing 4.0 philosophy in a compact form with three solutions for producers of digitally printed books and magazines in runs right down to one copy. Two years after investing in a Corona C15 perfect binder, the Oberndorfer Druckerei printing plant near Salzburg (Austria) will now also be able to produce at even greater speed in the saddle stitching and inserting segments thanks to its investment in two high-performance Muller Martini systems, which can be used both inline and offline. Allied Printing needs complete solutions for its sophisticated processes. Two Muller Martini Primera saddle stitchers are central to that. Caxton, the South African newspaper producer, has recouped its investment within just six months after an upgrade carried out by Muller Martini as a world first – the installation of a second opening station – on two ProLiner inserting systems. A new advertising form made it possible: a large-surface advert wrapped around the newspaper. At Books on Demand GmbH in northern Germany, the inline Vareo/InfiniTrim duo ensures that printing and print finishing fulfills the highest standards even for print runs of one copy. Even before its world premiere at drupa 2016, the Primera MC saddle stitcher with Motion Control sparked an enthusiastic response in its field tests. Muller Martini’s live demonstrations of Finishing 4.0 reveal unlimited opportunities for new market growth. Bokbinderiet Johnsen in the Norwegian city of Skien presented its new Diamant MC 60 bookline at its open house event attended by 40 customers. The West African Examinations Council (WAEC), which specializes in the printing of examination papers, is investing in the Primera, its first Muller Martini saddle stitcher, at its printing plant in the Ghanaian capital of Accra. Muller Martini looks to the future at Graph Expo. Live demonstrations to show how variable magazines and books containing sheet-fed offset, web offset and digital printing components can be produced using a fully automated machine line-up. A company that inserts over a billion inserts into newspapers each year is reliant on flawless processes in the mailroom. Ideeo has ideas – the Mexican company uses the Presto II Digital saddle stitcher to connect print and digital media. Tisk Centrum was so impressed by Muller Martini’s services that the Czech company decided to purchase two new machines. Diversification with a Diamant MC 60 – IBW, the leading specialist for high-volume magazines in Belgium, has entered the hardcover segment with a Muller Martini bookline. To ensure it can react more flexibly to decreasing run sizes, Grafica Veneta has invested for the first time in a brand-new softcover system with shorter setup times. Andi Druk, which is based in the Dutch town of Maastricht and specializes in the production of magazines, books, manuals and brochures, is investing in an integrated inline digital solution consisting of a Canon color printing press and three Muller Martini systems (a SigmaLine, a Vareo, and a Presto II Digital). Bruno Müller: "Our Participation at drupa Left a Convincing Impression"
Bruno Müller looks back at the company's successful participation at drupa. The CEO of Muller Martini was particularly delighted by all the positive customer feedback with regard to the booth's concept: "The way we explained our core topic of Finishing 4.0 in a clear and impressive manner surprised many visitors." Muller Martini's long-standing Japanese partner Iwaoka is set to boost its mailshot business with a new Primera MC saddle stitcher. Making two into three: Rotolito Lombarda has signed a purchase agreement at drupa for its third Corona C15 perfect binder to increase output at its plant in Pioltello and at the same time improve its production processes. "Futuristic" – "trend-setting" – "convincing": Muller Martini's booth at drupa has not only be packed since the first day of the trade fair, the visitors from around the world are also in full of praise about how Muller Martini is presenting its key Finishing 4.0 topic. The finishing set-up of D.R.J. Resl in the Czech town of Nachod was only lacking hardcover to be complete. The gap will be closed this fall, however, with the commissioning of a Diamant MC 35 bookline. Next month Mediagraf in Padua will become the first graphic arts company in Italy to commission a Vareo perfect binder. For the first time in its company history, Matsumoto, which is based in Japan's Kitakyushu City, is investing in a perfect binder, and it has opted for Muller Martini's Alegro. With the new standard interfaces to Prinect, HP Production Center and Switch, Connex offers new possibilities for facilitating communication between Muller Martini machines and the workflows of other manufacturers. The Micropress team together with David McGinlay, Sales Manager at Muller Martini UK (right), in front of the Primera MC at the drupa booth. Vor acht Jahren besiegelten Artron und Müller Martini auf der drupa eine strategische Partnerschaft. Nun machte sich eine siebenköpfige Delegation des renommierten grafischen Unternehmen in Düsseldorf ein Bild über die Finishing 4.0-Lösungen von Müller Martini. From drupa straight to Belgium's Wommelgem: DLN Binding will install the Alegro perfect binder, currently being exhibited by Muller Martini at its booth in Düsseldorf, immediately after the fair. MPOWER, which can be used via a PC, tablet or smartphone, not only enables efficient troubleshooting but also steps up process reliability and provides customers with integrated solutions as part of Muller Martini’s after-sales service. Whether the Primera MC saddle stitcher or Ventura MC 200 thread sewing machine is used, interventions by machine operators need to be reduced to the absolute minimum in conventional print finishing too.0 – auch in der klassischen Weiterverarbeitung müssen Eingriffe der Maschinenführer auf ein absolutes Minimum beschränkt werden. The eight-member Kadokawa delegation at Muller Martini’s drupa booth with Rudolf Müller (Chairman of the Board of Muller Martini), Bruno Müller (CEO of Muller Martini) and Yasuyoshi Miyazaki (Managing Director of Muller Martini Japan). DS Graphics uses its new Primera Digital for purely digital products, as well as for hybrid and conventional products. Right: Jeff Pallis (President and CEO of DS Graphics). Left: Frank Donnelley (Sales Manager at Muller Martini North America). From left: Trond Erik Isaksen (owner of Livonia), Marc Freitag (Product Manager at Muller Martini Hardcover Systems) and Jürgen Noll (Managing Director of Muller Martini Hardcover Systems) in front of the Ventura MC 200 at the drupa booth. After commissioning two new Komori printing presses, McAllister Litho Glasgow (MLG) is investing in a new Muller Martini Primera saddle stitcher to cater to its increased printing output. From the SigmaLine via the Vareo to the InfiniTrim: Muller Martini will demonstrate the fully variably, personalized production of an educational book, with a wide range of titles and content, at its drupa booth. The Dutch bookbindery NBD Biblion, which specializes in the production of library books, will commission the world’s first Muller Martini Diamant MC Digital Book of One bookline in fall. The new InfiniTrim three-knife trimmer, which ensures the ideal pressing and correct positioning of every softcover product fully automatically, is the embodiment of Muller Martini’s Finishing 4.0 philosophy. Muller Martini’s booth struck a chord with the graphic arts industry and attracted large numbers of drupa visitors on the opening day. With Finishing 4.0, Muller Martini will demonstrate at drupa 2016 in Hall 2 at Booth A49 how variable magazines and books with sheet-fed offset, web offset and digitally printed elements can be produced using a fully connected, highly automated machine line-up. Muller Martini’s electronic ink zone control system was developed by Muller Martini, and sets high standards in terms of precision, speed, reliability, and ease of use. With the Presto II saddle stitcher, graphic arts companies are equipped for today's demands and future market requirements. With Finishing 4.0, Muller Martini will demonstrate at drupa 2016 in Hall 2 at Booth A49 how variable magazines and books can be produced using a fully connected, highly automated machine line-up consisting of sheet-fed offset, web offset and digital printing elements. Stream feeders for automatic signature infeed contribute greatly to the high net production of the new Corona C15 perfect binder. The automatic Bograma friction feeder acts as a buffer to compensate for the different production speeds of the Acoro perfect binder. The Alegro’s short setup times, great flexibility in sizes and modular design is exactly what Pustet was looking for. Customers of the Alegro perfect binder featuring motion control award the machine top marks for its size range, product quality, processing times, flexibility and easy serviceability. Thanks to their modular design, Muller Martini systems can be adapted to new market requirements at any time. A typical example is the CoLiner pre-gathering unit. Münchner Merkur tz media group in Munich retrofits its NewsLiner Inserting System with a new CoLiner. With Finishing 4.0, Muller Martini will demonstrate the efficient finishing of variable print products live at drupa 2016. Quad/Graphics commissioned no fewer than six new SigmaLine systems in Versailles (USA) in 2015. At DS Graphics Customized Travel Brochures with Runs of 1 are Produced Fully Automatically. With Finishing 4.0, Muller Martini will showcase the growth opportunities that connectivity offers the graphic arts industry at drupa 2016.